As we all know that iPhone now meet all the needs of our life, work and even entertainment. We have many important data on our iPhone, such as messages, emails, contacts, photos, notes, calendars, etc. If you lose or accidentally delete data from iPhone, how do you get back them? Yes, iPhone Data Recovery is the answer. This software can scan iPhone and iPhone backup files to find and recover data for iPhone users. In this article, I will introduce you the top 5 best iPhone Data Recovery software. If you just want to find one to recover data from your iPhone, read my article and it will help you to decide which your best iPhone Data Recovery is. We test all the iPhone Data Recovery listed below on the same computer and compare them with the recovering result. We name the best iPhone Data Recovery in this article with a comprehensive of their performance. The NO. 1 data recovery for iPhone works stably with wide compatibility of iOS devices(iPhone 7 and iPhone 7 plus supported) and their backup files. 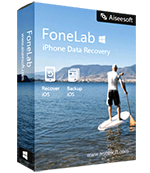 FoneLab is released by Aiseesoft Studio as an iPhone Data Recovery software few years ago. They have given it several big upgrades to enhance its performance of iOS device compatibility and the ability to scan and find the deleted data from iPhone. During our test, it works stably on our Windows 8, Windows 10 desktop and Windows 7 laptop. As the best iPhone Data Recovery software, it can recover deleted text messages, iMessages, photos, videos, contacts, notes, reminders, calendars, voice memos, voicemails, call history, Whatsapp messages and other data from iPhone, iPad and iPod touch. It works perfectly with iOS 10 and iPhone 7 plus, iPhone 7. Aiseesoft Studio provides both Windows and Mac version of Fonelab. You can download and use the trial version for free. The full version costs $69.95 for Windows version and $79.95 for Mac version. Here is how to recover deleted data from iPhone with FoneLab iPhone Data Recovery. Free download, install and run this recovery software on your computer. You will see the following interface. 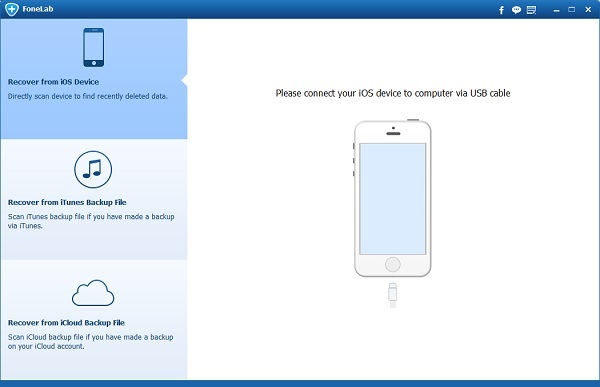 Connect your iPhone to computer via USB Cable, the software will detect the connection and load your iPhone to its interface as soon as possible. You will see the basic information of your iPhone on the interface. Click “Scan” button, the software will begin to scan your iPhone deeply. It will find all the deleted data on your iPhone and list the data on the interface after scanning. You can easily select and preview the data you would like to recover easily. Click “Recover” button after selecting all the data you want to recover. All the selected data will be recovered from iPhone. You can find the recovered iPhone data on your PC easily. 1. Support all iPhone models, such as iPhone 7, iPhone 7 plus, iPhone SE, iPhone 6s, iPhone 6s plus, iPhone 6, iPhone 6 plus, iPhone 5s, iPhone 5c, iPhone 5, iPhone 4s, iPhone 4 and iPhone 3 GS. 4. Recover deleted data with 3 mode: Recover from iPhone directly; Recover from iCloud backup files; Recover from iTunes backup files. 5. Recover Text Messages, iMessages, Contacts, Photos, Videos, Notes, Calendars, Reminders, Whatsapp Messages, Voice Memos, VoiceMails, Safari Bookmarks, call history and other data from iPhone, iCloud and iTunes backup files. 2. Only 4 languages provides, English, German, Japanese and French. iMyfone D-Back is designed for iPhone users who want to recover deleted data on iPhone. It can be named on the best iPhone Data Recovery software list because it provides many third party IM app messages recovery while others don’t. You can smoothly download D-Back on your computer and scan your iPhone easily. It will list all the data on your iPhone. You can preview the data before recovering. D-Back can not only recover deleted data from your iPhone, but also solve the iOS system problem for you. It can fix iPhone stuck on Apple Logo, iPhone stuck in recovery mode, iPhone stuck on headphone mode and other iOS system problems for iPhone users. So it runs the second place in the best iPhone Data Recovery list in our article. D-Back can recover deleted text messages, iMessages, photos, videos, contacts, call history, Whatsapp messages, Viber messages, Kik messages, Skype messages, Wechat messages, reminders, voice memos, calendars, voicemails and other data from iPhone, iPad, iPod touch and their backup files easily. 2. Recover deleted Viber messages, Kik messages, Skype messages, Wechat Messages from iPhone, iPad and iPod touch easily. 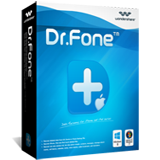 Dr. Fone is the 1st iPhone Data Recovery software and well known for its powerful function. Besides data recovery, it also provides iPhone users many backup functions. Such as backup Whatsapp messages, Viber messages, Kik messages, Line messages, Facebook messages and other data from iPhone and restore them to your iPhone when you need. 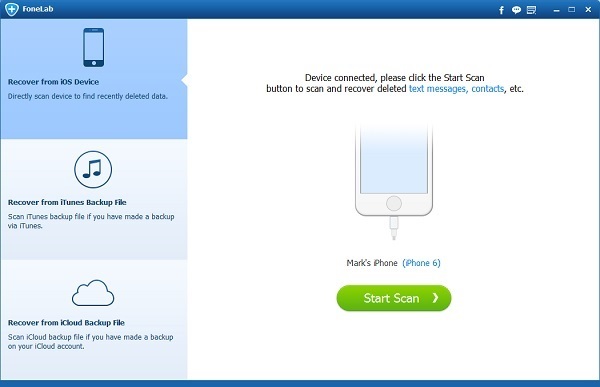 Dr. Fone provides 3 methods to recover deleted or lost data for iOS users. You can recover data from iPhone directly, recover data from iTunes backup file and recover data from iCloud backup file. You can select different ways to get back deleted data according to your own case. 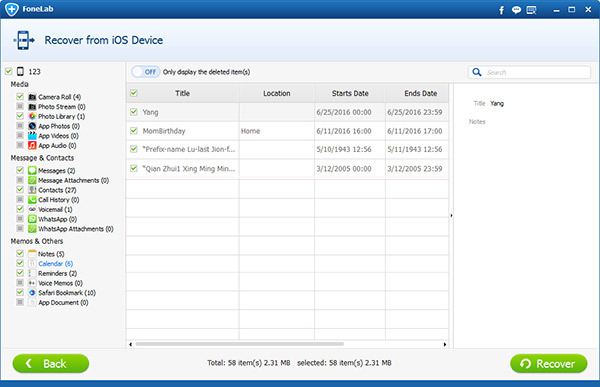 Also the backup function for iOS users makes Dr. Fone an iPhone data manager tool too. It has the data recovery software for iPhone which has the most functions in this best iPhone Data Recovery list. Tipard iOS Data Recovery can scan your iOS devices, find the deleted data and recover data from iPhone/iPad/iPod touch to computer. You can recover deleted messages, photos, videos, contacts, notes, call history, Whatsapp messages, reminders, calendars, voice memos, voicemails and other deleted data for you. It is the easiest one in the best iPhone Data Recovery list. Just 3 steps, you can get back the deleted data from iPhone easily. It can also restore data from iPhone backup files from iTunes and iCloud. You can preview the data before recovering. General speaking, it’s an average program for recovering iPhone data. But it is helpful when you lose or accidentally delete data and want to get back right away. Tipard Studio has great support work and this makes their iOS Data Recovery software one of the best iPhone Data Recovery. As you can imagine that if you want to get back important data from iPhone, it’s really great if anyone from the software provider can walk you through the whole process. 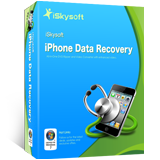 Described as the most trustworthy iPhone Data Recovery software on their website, iSkysoft iPhone Data Recovery is a lite version of Wondershare Dr. Fone. It can recover deleted or lost data from iPhon, iPad and iPod touch easily. You can also restore data from iPhone backup files. It’s one of the best iPhone Data Recovery software. You can recover messages, photos, videos, contacts, notes, call history, Whatsapp messages, calendars, reminders, voice memos, voicemails from iOS devices and their backup files. You can also fix iOS system problems with this recovery software. Coming from the same company, iSkysoft iPhone Data Recovery is as powerful as Dr. Fone from Wondershare on data recovery and iOS system fix. But it doesn’t have backup functions for iPhone and iPad. You can use it as an alternative of Dr. Fone if don’t have the need of backup. Here I just list the top 5 best iPhone Data Recovery for you. I think it’s enough for you to make a choice and recover deleted data from iPhone with any data recovery software for iPhone. For all the iPhone users who want to recover deleted data, please stop using your iPhone until you find the data you want. BTW, please backup your iPhone regularly in order to decrease the loss of losing data from iPhone. How to read deleted text messages on iPhone?